3Howw Hostel at Sukhumvit 21 is located in the heart of Bangkok, on the road with shopping centers such as Terminal 21, business areas, Korean Town and many restaurants and eateries. Just a short walk away is the Sukhumvit subway station and Asoke skytrain station, and the airport rail link is 15 minutes away by foot. It is 7.3 km from Khao San Road, 3.6 km from Patpong and 7.7 km from Grand Palace. 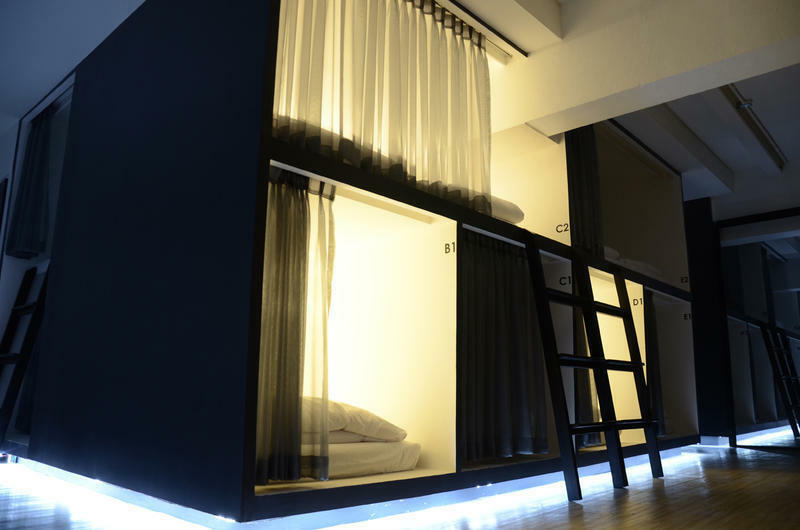 The hostel is decorated in a minimal loft style which is basic but perfect. There is a restaurant, coffee shop, rooftop bar, and facilities for backpackers. Offered are 12 private rooms, 6 dormitory rooms, a common area, computers, a movie zone, and a kitchen. Special activities are held occasionally such as Thai food and dessert cooking classes. Staff are on hand to provide information about traveling in Thailand. 3Howw Hostel at Sukhumvit 21 is located in the heart of Bangkok.The property is a 10-minute drive from Makkasan Airport Rail Link Station and Suvarnabhumi Airport is 21 km away.